“Star Wars” are wars whose timing is mandated by the positions of the planets, especially Venus. These do not usually involve massive destruction or conquest. “Axe Wars” are wars of conquest or revenge. In all my postings on the Maya, I have neglected to note one important fact: the Maya were never an empire of diverse peoples, such as the Aztecs in Northern Mexico and the Inca in the Andes. 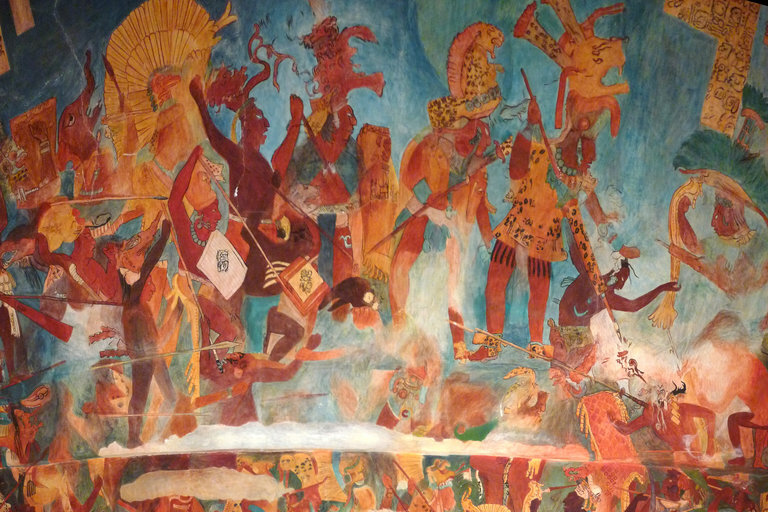 Instead, there were powerful city/states that rose into prominence and just as often fell to other Maya city/states. Tikal in Guatemala was probably the largest; but at different times such cities as Palenque, Calakmul, Chichen Itza, and Cobá in Mexico; Copán in Honduras; Caracol in Belize; and El Mirador, Dos Pilas, and Quirigua in Guatemala were first among equals. With so many hundreds of Maya cities spread across Southern Mexico and Central America, the number of possible wars numbers in the hundreds or even thousands. When I think on this, I realize that the Maya were probably pretty happy to get rid of their kings and concentrate on survival rather than fighting in astrologically dictated conflicts or axe wars against powerful entities like Calakmul. Then, too, it was hard work building all those temples and pyramids when none of the people of the Americas had the use of the wheel. Stones had to be shaped and carried long distances by men. There was probably a massive sigh of relief throughout the Maya world when all this war and labor was mostly behind them. This entry was posted in history and tagged mayans, tikal, war. Bookmark the permalink.